Want to increase your knowledge, skills and qualifications? Read three reasons why online learning is the perfect solution for busy mums. Desperate to take your career up a level, but need more qualifications first? Want to start a new business but need training? Or just want to increase your knowledge and learn new skills? There are lots of brilliant reasons to study, but if you’re a working or stay-at-home mum you may find your options frustratingly limited. Perhaps there aren’t any courses you want or need to take near you. Or you just don’t have the time (or money) to fit learning into your life right now. The good news for mums in particular is that there are many more learning options available to you than you may realise right now – and you can find them all on your laptop or tablet. Over the past few years, the number of online courses has exploded – like these at study.com. Today you can study almost anything online, and get a top quality education and highly regarded qualification at the end of it. Whether you physically can’t get to a bricks and mortar classroom, prefer to learn in the comfort of home or at work, or like the idea of learning when and where it suits your lifestyle, online education gives you the flexibility you need. 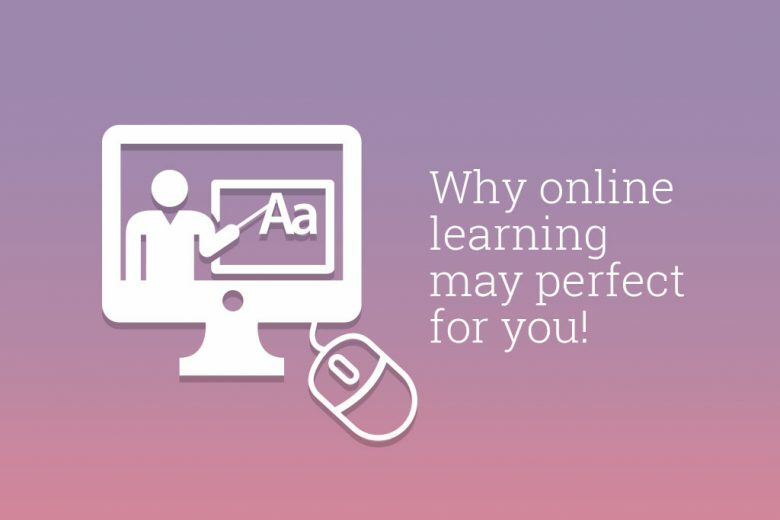 So before you book a place at a classroom-based course, take a look at three reasons why online learning may just be the perfect solution for you. Quality doesn’t take a back seat just because you have chosen an online environment for your course. The quality and level of education you get will still be at the same level, if not better, than you would expect if you were physically attending a classroom environment. And indeed, with a much wider range of options available to, you can choose the best course or training provider for your subject, rather than being restricted to those within travelling distance of your home (especially if you’re a mum). You can choose from a wide range of different types of learning too – from studying practical skills that will qualify you for a specific role, to an academic qualification like this online Master in Curriculum and Instruction Program. Online learning also allows you to digest all the information that is offered to you much more easily than in a classroom. Rather than listen to a tutor, you can watch videos and read online text as many times as you like, and at times and locations that fit your lifestyle. It also means that, if your child is sick or your transport breaks down, you don’t miss a class. Instead you can simply catch up with your learning when it’s convenient for you. And just because your course is virtual, it doesn’t mean that you don’t get personal support. If you need help, many courses have a tutor active on live chat around the clock, as well as email support. Often they’ll have an online network of fellow students to connect with too. This is just something that you wouldn’t get in a physical, classroom-based environment because your tutor’s time is usually restricted to your actual face-to-face class time. Online learning is also much more cost and time efficient for mums. Not least because you won’t need to spend money on travel, childcare and lunch – or accommodation if you choose a residential or distant classroom-based course. Online courses are often cheaper than bricks and mortar classroom learning too. There are no classrooms to rent or maintain, no equipment needed, and once the video or written content has been created, it can be delivered as many times as the training provider needs with minimal extra costs. Plus, they don’t need to pay the wages of teachers delivering continual face-to-face classes to small groups of students. Instead, they can have fewer tutors available for online support as needed. Of course, this will depend on the type of online course, but generally online learning can be as much as 50% cheaper than a classroom-based course. Perhaps the biggest draw for online studying for mums though, is the convenience of learning at home when you want. It doesn’t matter what time of day or night you work through your modules, or indeed where you do. So if you’re an early riser, you can get a couple of hours of studying in before the kids wake up. Or if you’re a night owl you can learn at night once they’re asleep. You can even take your laptop to playgroups or soft play (if your children are old enough) and sneak some work time in while they’re playing with their friends. In fact, anywhere you have some free time, and the desire, you can study. This flexibility doesn’t just make learning easier, for many mums it actually means it’s possible. You can have a full time job and young kids, but if you have the will and energy, you can still learn. It may take some sacrifice, but it’s worth it if studying helps you to meet your chosen goals, or it’s just something you love. Online education is a flexible, cost-efficient and convenient way of building up your qualifications, changing career paths or just growing your personal knowledge. But it’s not the perfect choice for everyone. To study successfully online, you’ll need the motivation, determination and the self-discipline to complete the course in the allotted time – after all, you don’t have to turn up in class and explain to your tutor why you haven’t completed your assignment! If you feel that you don’t have any of those three traits then you could find yourself struggling to learn at the correct pace. So it’s important that you take these things into account before you decide if online education really is for you. But if you do have the time and the necessary traits, an online education may be perfect boost to your career at this stage of your life. Andy Bell is an everyday learner and editor, working at Tutoring help. He is passionate about helping online learning businesses to achieve their goals. He loves tutoring job and his favorite subjects are math and English, but he has also taken honors classes in science and history. Outside the classroom, he enjoys tennis and is an active member of the Rancho Crandon Park.